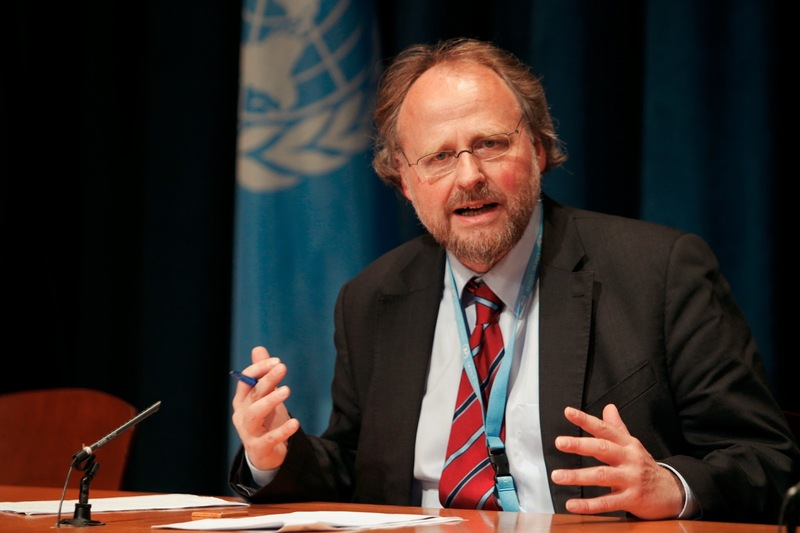 The International Consortium for Law and Religion Studies (ICLARS) is pleased to announce that Heiner Bielefeldt, UN Special Rapporteur on Freedom of Religion or Belief, is confirmed as the keynote speaker for the Third ICLARS Conference, to be held in the United States, 21-23 August 2013. Holding both a PhD and a post-doctoral habilitation degree in philosophy, Professor Bielefeldt teaches in the areas of political science, philosophy, law and history. He has taught at the University of Heidelberg and the University of Toronto, and at the time of his UN appointment in 2010 he was professor in the newly created Chair of Human Rights and Human Rights Policy at the University of Erlangen. From 2003-2009 he served as Director of the German Institute for Human Rights. Other international experts – including Rex Adhar, Kayatoun Alidadi, Ursula Basset, Agnès Callamard, Mohammed Saeed Eltayeb, Kent Greenawald, Andrew Koppleman, Douglas Laycock, Tahir Mahmood, Asher Maoz, Toby Mendel, Michael O'Flaherty, Gerhard Robbers, Lawrence Sager, Eichiro Takahata, Jeroen Temperman, and John Witte Jr. – will address such topics as religious pluralism and treatment of religious minorities; religion and anti-discrimination norms; hate speech, hate crimes, and religious minorities; and religion and gender issues. The past year has been a particularly significant one for the law and religion field. On 11 January 2012 the Supreme Court of the United States issued its judgment in Hosanna-Tabor Evangelical Lutheran Church and School v. EEOC, without question one of the most significant religion decisions of the Court in decades. One year later, on 15 January 2013, the European Court of Human Rights delivered judgment in a similarly significant set of four consolidated cases in Eweida and Others v. The United Kingdom. These US and European cases have brought law and religion questions to the forefront of public consciousness, and the decisions have spawned profound and ongoing debates. With these prospects in mind, the Steering Committee developed the conference themes. The central location for the conference will be Richmond, Virginia, near where the language was crafted that ultimately became the Free Exercise Clause of the First Amendment to the United States Constitution. One day of the conference will be spent in historic Charlottesville, home of the University of Virginia and Monticello, where much of the Jeffersonian heritage is in evidence, including the famous serpentine wall, sometimes identified as the true image of the famous "wall of separation" metaphor for the appropriate relationship of religion and state. A second day will take participants to Williamsburg, home of the College of William and Mary, and another major locus of historic church-state sites in early America. ICLARS is an international network of scholars and experts of law and religion begun in 2007 with Professor Silvio Ferrari of the University of Milan as President. The purpose of ICLARS is to provide a forum for exchange of information, data, and opinions among members, which are then made available to the broader scientific community. Currently, ICLARS has members from more than 40 countries. Succeeding Professor Ferrari, the current president of ICLARS is Professor W. Cole Durham, Jr., Susa Young Gates University Professor of Law and Director, International Center for Law and Religion Studies (ICLRS), J. Reuben Clark Law School, Brigham Young University. Vice-president is Professor Ana Maria Célis, Professor and Director of the Center of Religious Liberty of the Facultad de Derecho at the Pontificia Universidad Católica de Chile (Santiago). The ICLARS steering committee members are eminent law and religion scholars from Italy, Spain, India, Argentina, Germany, Israel, and South Africa. ICLARS organizes conferences every other year and publishes a regular newsletter. The first ICLARS conference was held in Milan in 2009, the second took place in Santiago, Chile in 2011. The proceedings of both conferences have been published by Ashgate UK. The Santiago proceedings, titled Law, Religion, Constitution: Freedom of Religion, Equal Treatment, and the Law, will be available at the Conference in August. Please consult this site as well or Consortium website at www.iclars.org for ongoing developments. Source: International Center for Law and Religion Studies.